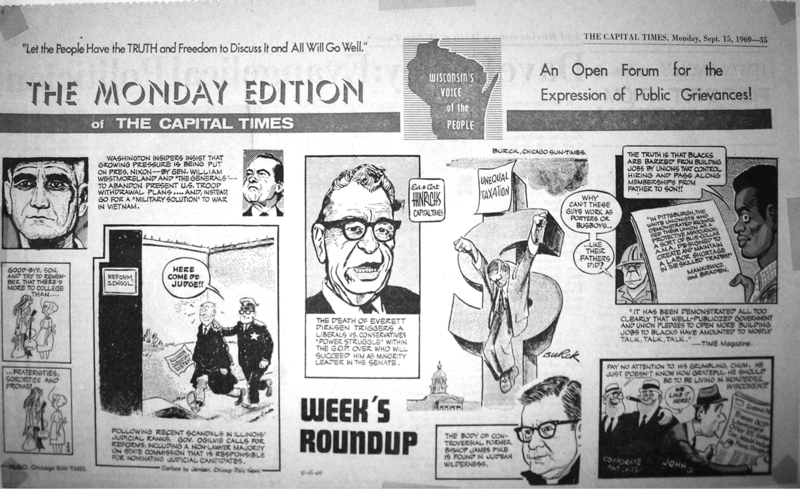 Because the cartoons ran in the newspaper when papers were a generous 15 inches wide, it isn’t easy to scan and reproduce these fascinating cartoons. These rough photos taken by Sarah will have to do for now. We hope they whet your appetite for more. 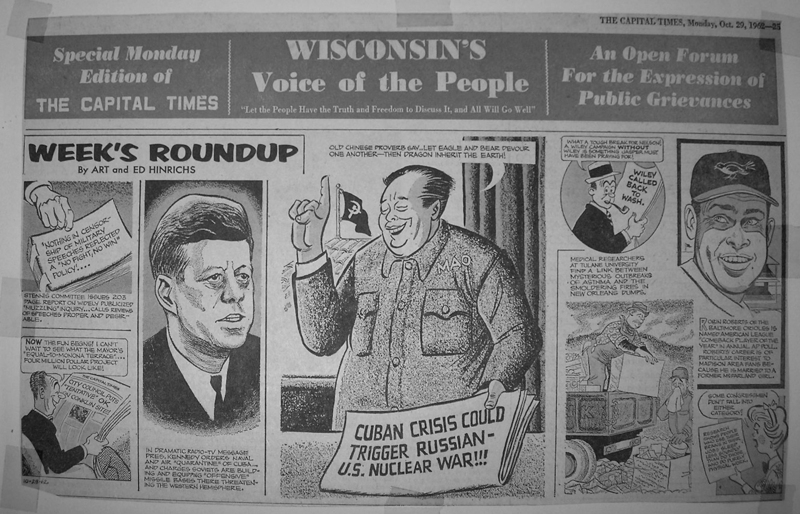 We plan to feature the story of the Hinrichs brothers (who were East Siders) at our September 2010 meeting. 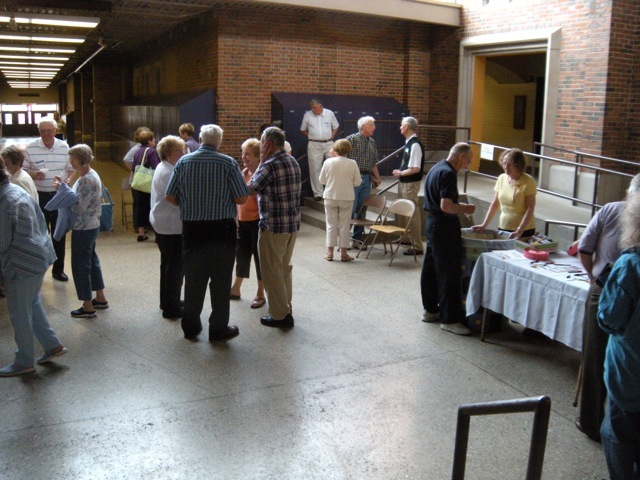 Our May 22, 2010 meeting drew a record crowd to hear about “East High Athletics, The Early Years” presented by Dave Martinson and John Olson (class of ’53), followed by reminiscences from class of ’59 teammates Pat Richter and Steve Underwood. Time permitted only a look at the early years, 1930s-1950s, so Dave and John plan to present the next “chapters” in the future. 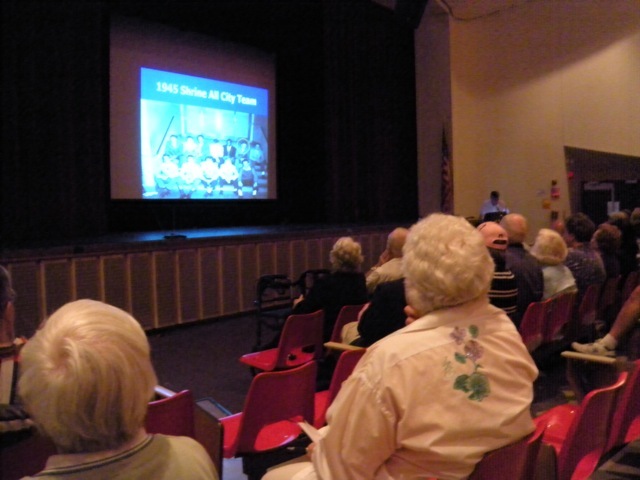 The East Side History Club thanks everyone who helped make the meeting a success. And thanks, Jean Lang, for the photos! 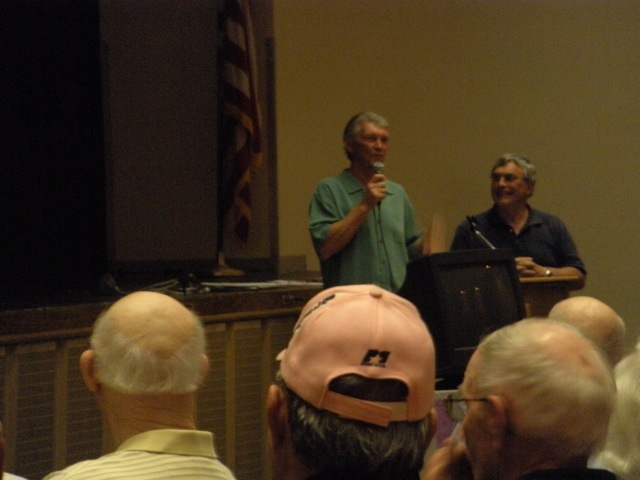 ...and finally, enjoyed a few remarks from Pat Richter (left) and Steve Underwood (right). p.s. About those “bucket seats”–the East High “Raise the Curtain” campaign is raising funds to renovate the East High theater, returning the space to its original capacity and acoustic quality, and replacing the 1970s-era plastic seats with authentic theater seats. To learn more about the campaign, visit the website http://www.easthightheater.org, or email info@easthightheater.org.